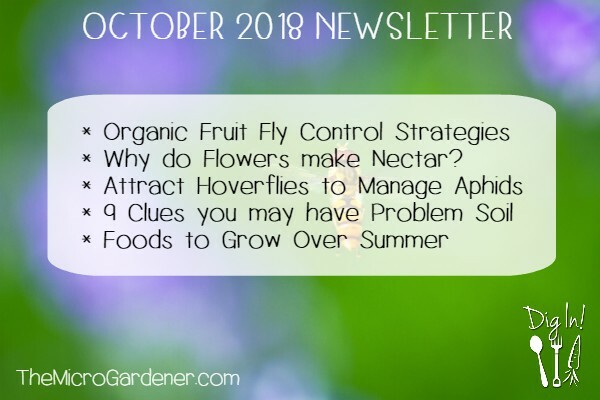 In this newsletter, I’ve got lots of thought provoking tips and answer some interesting questions, so dig in! Can you use Garden Soil in Pots? Pot grown plants are totally reliant on YOU during their life. Their roots are confined, so they can’t reach out like they would in a garden to find moisture, air and nutrients. The growing medium your plants depend on needs to hold adequate moisture, air pockets and a high level of nutrients to sustain healthy growth and stability. 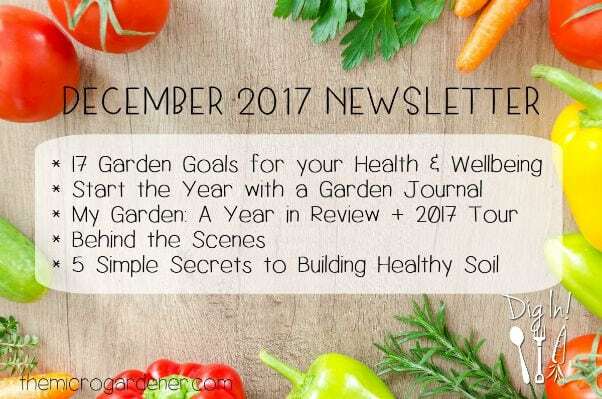 To help you grow a healthy productive edible garden, I invite you to dig into my new articles and the following tips. We all know that plants need sunlight to grow, but many people struggle with shade. Too much or too little of it! I help my local clients overcome both challenges. There are pros and cons to growing in shady conditions and having shade can be a massive benefit. 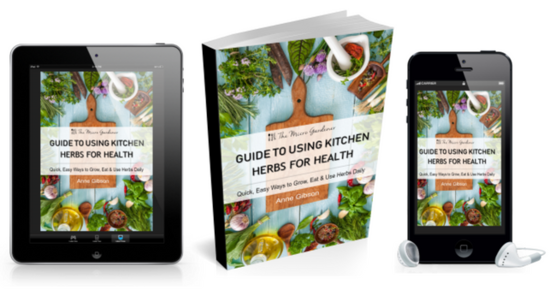 It might surprise you to learn just how many vegetables you can grow – fruiting crops, root crops and leafy greens. 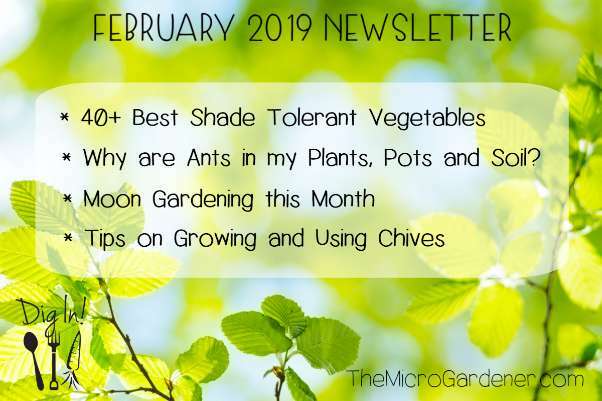 So in my latest article, you’ll discover the best shade tolerant vegetables to grow in limited sunlight. 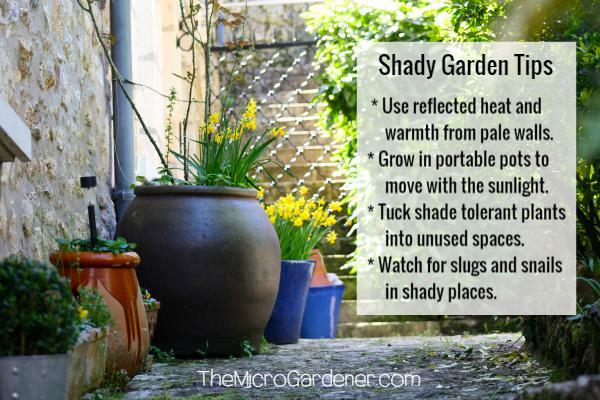 I explain the advantages and disadvantages of a shady garden so you can make more informed decisions about your own space. 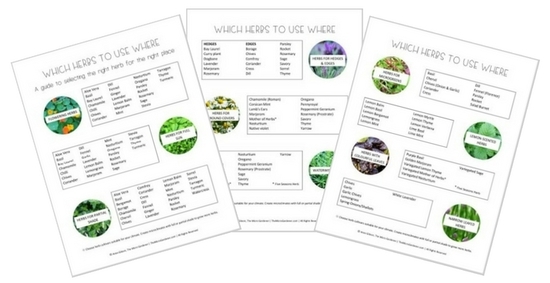 I also have a guide to direct sunlight hours so you can work out what to grow in your climate. 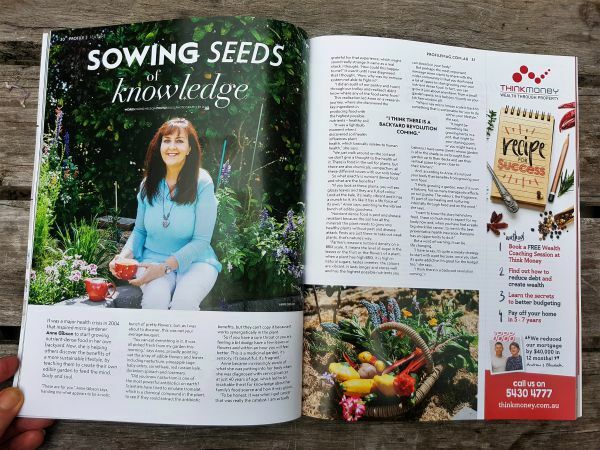 Plus I share 8 practical tips for growing vegetables in the shade to help you optimise harvests in your kitchen garden. Ever wondered WHY ants are present, WHAT they’re doing and HOW to get rid of them? The answer is simple when you understand the 2 main reasons ants are present. 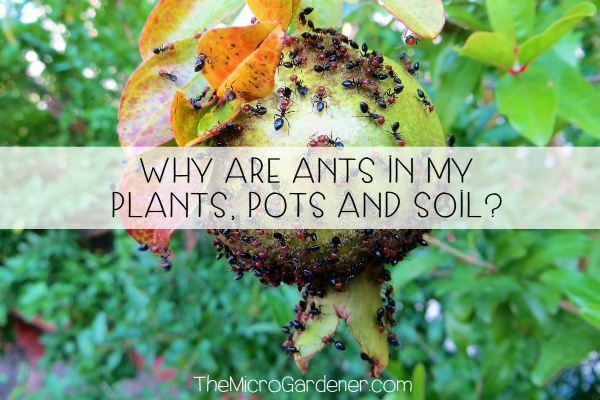 In this article, I explain why they’re in your potting mix, soil and crawling up plants. You’ll learn what damage can occur, easy solutions and hopefully see ants through a whole new ‘lens’. These tips will help you understand the relationship between ants and pest insects, hydrophobic soil and preventing sooty mould. It’s an informative read if you want to diagnose and treat common problems in your pots, plants and soil. 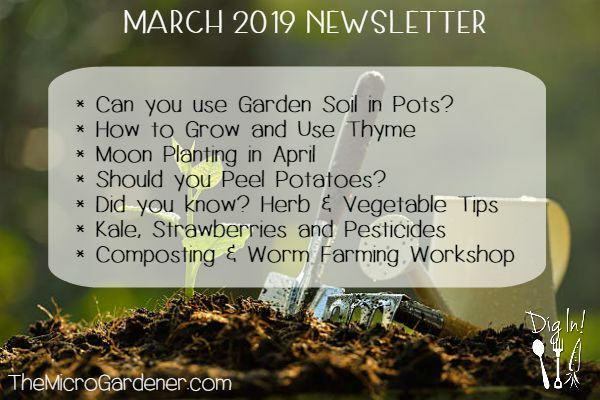 To help you plan and grow a healthy productive edible garden this year, I invite you to dig into my new article and the following tips. 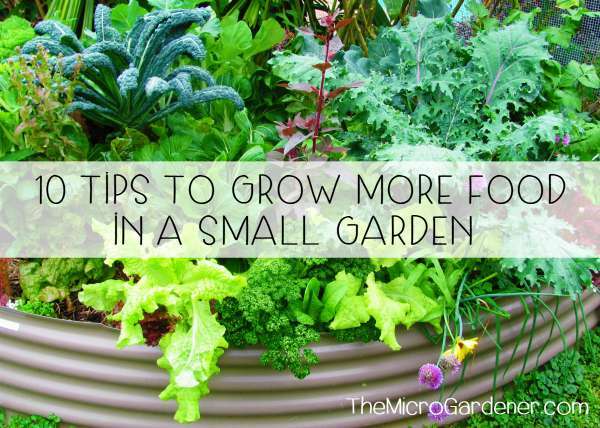 In my latest article, you’ll learn some of the ways I grow a highly productive garden in a compact space. 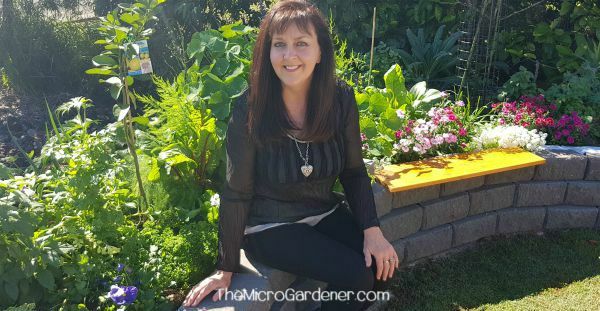 I share small garden design tips, ways to use shady spots, space saving plant varieties + more. 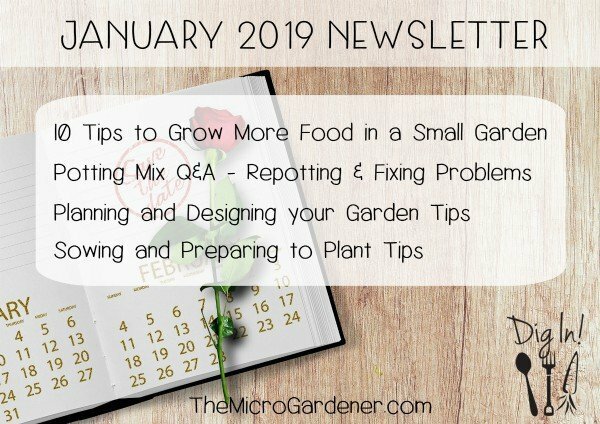 I hope these tips will help you optimise harvests in your kitchen garden. If you’re a container gardener, you probably have some plants growing in old potting mix. Can you even remember how long they’ve been in there?! Maybe you’ve got ‘dead dirt’ lying around in old pots and not sure what to do with it. If you’ve invested money in your potting mix and it’s not performing, it’s too valuable to throw away. Can you revitalise and refresh old potting mix? If so, how? How do you know if or when to re-pot your plants? What can you do if your potted plants have had pests or diseases? How can you tell if your potting mix is water repellent? Are there any ways you can reuse tired old potting mix? If so, how? 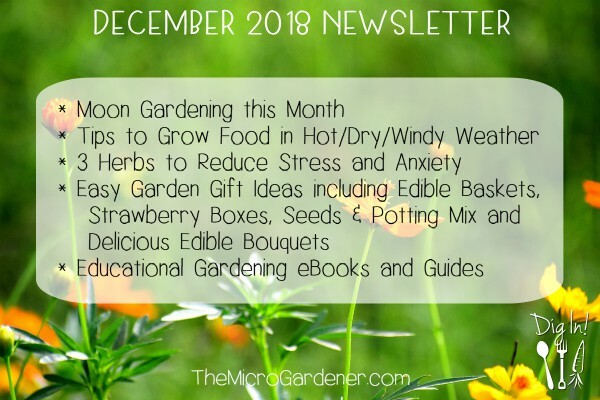 Welcome to the last newsletter for the year. 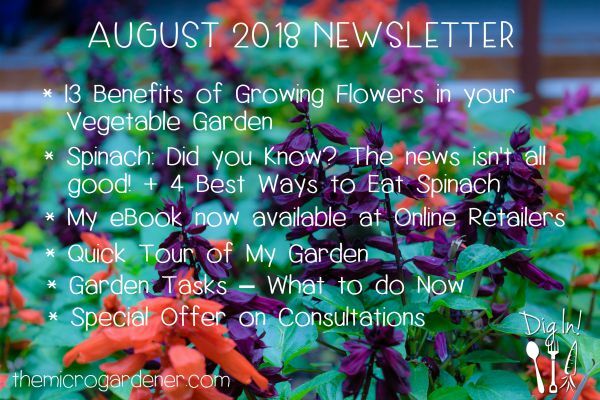 I’d like to take this opportunity to thank you for your shared interest in growing a healthy food garden and supporting my website as a subscriber. I hope you enjoy digging into the latest tips and wish you a happy and healthy holiday season. As we head into the holiday season, I thought it timely to share some practical ways to use 3 delicious herbs to ease stress and anxiety, and help with digestion for those times of over indulgence! I hope they help you feel more calm and relaxed. If you want to save money by making your own garden gifts, you’ll find some inspiring easy ideas to try. I think you’ll especially love the edible baskets. Dig into tips to grow food in hot, dry or windy weather and learn 3 ways to protect your crops from these challenging conditions. Plus, I share tips for watering your plants to minimise problems. Tuck in! 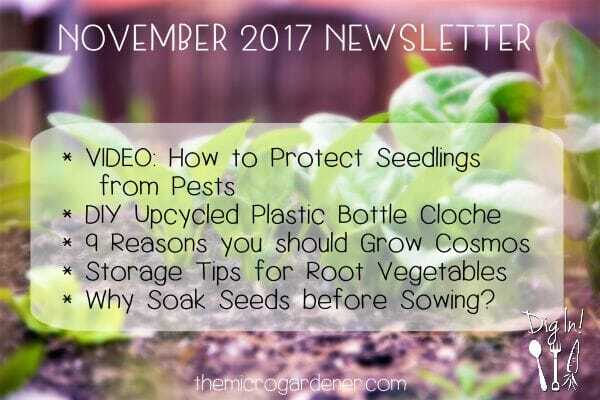 Welcome to the November newsletter. 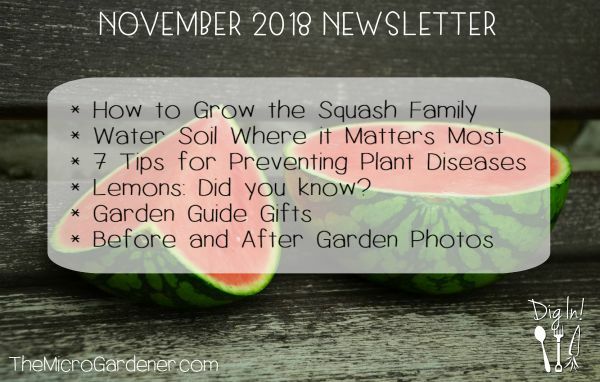 In this issue, I dish up tips on your favourite squash family vegetables with a practical grow guide; help you learn where to water your soil for the most benefit; share 7 ways to prevent plant diseases; and you’ll discover some disturbing and fascinating facts about lemons. I also share some inspiring before and after photos from a couple of my local clients’ gardens. Dig in! 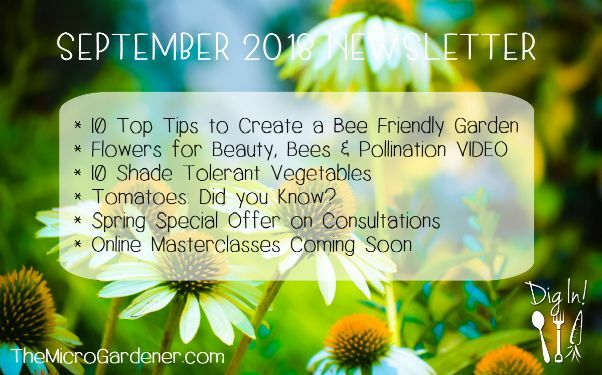 Welcome to the November Newsletter. There are lots of quick tips to get you thinking about the food you eat and grow, to help your health and wellbeing. This month, I’m sharing another quick ‘How To’ video in my Sow Simple series of free tutorials to help you grow and use food wisely in just minutes. Dig in and help others by sharing these tips!